Leprechaun’s Gold Gettin’ Lucky slot is an older slot from WMS, but with a fun theme and some great bonuses, it’s just as enjoyable as some of the newer offerings we see, and the graphics are more than adequate. As you can image, this slot is based on the Irish Leprechaun theme, and if you’re lucky you’ll be able to bag yourself a pot of gold at the end of the rainbow too! The slot also features a Wild symbol which will substitute for all the above base symbols in a winning combination. 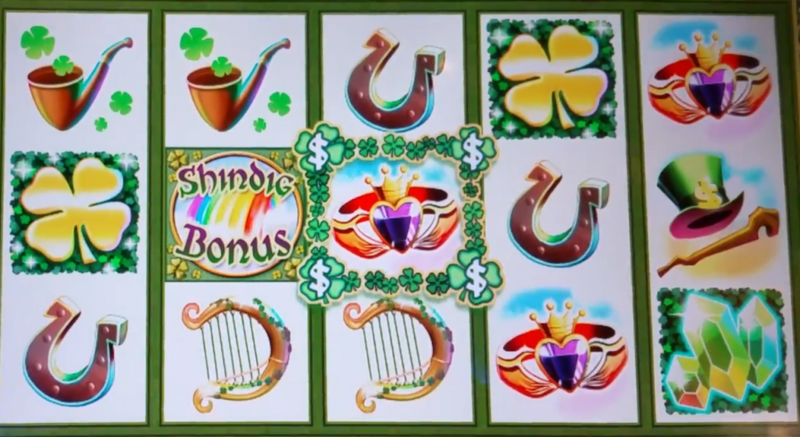 Any symbol apart from the Leprechaun and Shindig Bonus within the Clover Capture Box in a winning combination on an active pay line doubles the winning combination. Lucky Bonus. Any Leprechaun contained within the Clover Capture Box on reels 2 or 4 will trigger the Lucky Bonus. This will give you the opportunity to win some rather generous credit rewards. Lucky will jump out onto the screen, and give you a chance to pick one of the 3 pots of gold. In two of these, you will find credit values, while the other contains Lucky’s gold. If the credit value is selected, it is awarded and the bonus ends. If it reveals Lucky’s gold, however, then you will be shown 5 red pots of gold with credit values shown, with one pot showing ‘collect’ along with its value. These will be shuffled around and you must now choose one. If it reveals ‘collect’, then the associated credits are awarded, ending the bonus. If it reveals a credit value, those credits are awarded and the pot disappears. The remaining pots have their values increased apart from the ‘collect’ pot. This continues until the ‘collect’ pot is chosen. Green posts of gold credit amounts range from 2x to 6x, initial red pots of gold credit amounts range from 3x to 7x, and increase by 1x to 3x per round. All awards appearing in this bonus have already been multiplied by the total bet. Shindig Bonus. This bonus is triggered by a winning combination of 3 or more Shindig Bonus symbols on an active pay line. 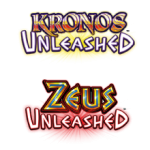 If you’re fortunate enough to have 4 of these symbols, then you will receive 2x the bonus, while 5 will grant a whopping 5x bonus. 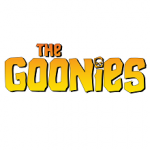 The bonus will initially provide you with 9 credits. The empty highlighted areas credits amount range is 18 to 28, while the Leprechaun credit amounts range is 40 to 100. All awards from this bonus are multiplied by the line bet. Clover Capture Box. This square formation of clovers is activated on every spin with any line and bet configuration. It floats over the reels during each spin. Once all the reels have stopped, the box will stop on any symbol in any position, and doubles the active pay line for that combination, apart from the Leprechaun and Shindig Bonus symbols. 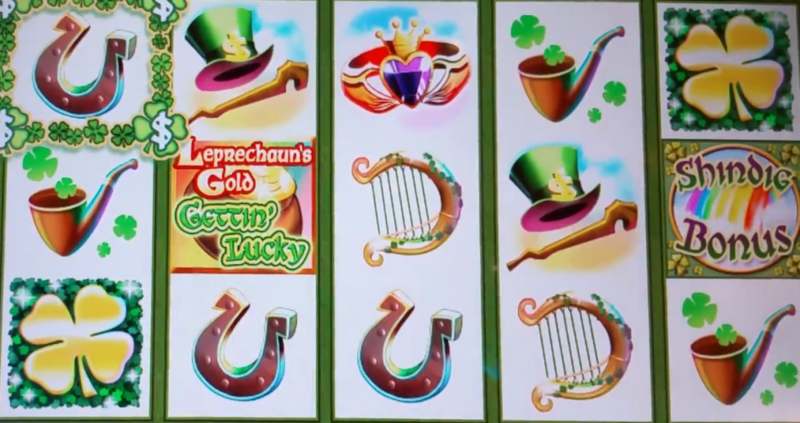 Overall, Leprechaun’s Gold Gettin’ Lucky slot is a simple yet very enjoyable slot with a fun, Irish theme. While it may be slightly old now, that does little to detract from the gameplay itself which is refreshingly simple, yet still rewarding. The graphics might not be as stunning as those found on the likes of Zeus or Kronos Unleashed slot, but they’re certainly easier on the eye making this game one you can happily sit down and take your time with. It definitely gets a thumbs up from me, and I hope WMS don’t forget that more isn’t always better.